About a thousand years ago, a series of Islamic caliphates headquartered in Cairo, Damascus and Baghdad were among the great powers. What made them exceptional for the time was a focus on education that led to advancements in medicine, mathematics, architecture and astronomy. Pluralism, education and open markets were highly valued in those societies because they fostered learning, tolerance and trade. Cosmopolitan by the standards of the day, Jews, Christians and Muslims of many sects intermingled in a culture that nurtured creativity and invention. Old Arabic quotations remain as reminders of the social environment in the old caliphates: “Justice is the foundation of government. No compulsion in religion. You have your religion and I have mine.” The vicious jihadist Islamic caliphate (ISIS) that has seized control in parts of Syria and Iraq has cleverly been able to promote itself as the successor to the bygone era of glory. Although ISIS follows a fanatical interpretation of the Koran, its slick propaganda and shocking videos have been successful in attracting recruits. The publicity and nostalgic lure has prompted other terrorist groups to affiliate with ISIS. They are active in Egypt’s Sinai Peninsula. In Libya, they beheaded 21 Egyptian Coptic Christians. In northern Nigeria, the jihadist militants of Boko Haram have caused approximately 1.5 million people to flee their homes. Although mainstream Muslims in Southeast Asia do not consider ISIS representative of Islam, in the Philippines, 40 policemen have been killed fighting a rebel group that pledged allegiance to ISIS. Indonesian authorities have warned that a growing number of the country’s citizens have been lured to Iraq and Syria. Malaysian authorities have arrested over 50 people with ISIS links. The new Secretary of Defense, Ashton B. Carter, met with his military leaders and American ambassadors at Camp Arifjan, Kuwait on February 23. The bombing campaign has halted the advance of ISIS in Iraq. What to do next is the big question vexing the secretary. 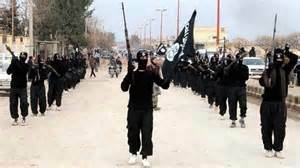 ISIS has about 30,000 fighters, of which an estimated 6,000 have been killed. The number of foreign jihadists in the ISIS ranks may number up to 20,000. ISIS remains a fairly rich terror group although the bombing of oil installations under its control has reduced its cash flow. 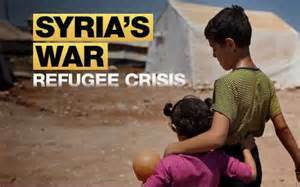 The income flowing into ISIS coffers is estimated to be less than a million dollars per day, down from a high of three million. The Middle East region is filled with political disappointment. Four years ago, a wave of unrest led to the overthrow of dictators in in Tunisia, Libya, Egypt and Yemen. 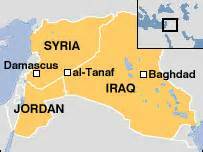 In Syria, the result was a war that has claimed over 200,000 lives and flooded neighboring countries with refugees. Egypt has slid back to military rule, Libya is under the control of rival militias. In the region’s oldest festering problem, the Palestinians remain far from statehood. As the atrocious Bashar al-Assad regime hangs on in Syria, Iran has expanded its influence in Syria, Iraq and Lebanon. In Libya, the two rival groups claiming the right to govern need to be prodded into forming a functioning unity government. 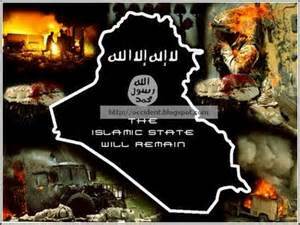 President Obama has 60 countries in a loose coalition to degrade and destroy ISIS. If local forces can be beefed up to defeat the Islamic State, some thought has to be given to what is going to replace it. Jarringly confirmed by the invasion and occupation of Iraq in 2003 was the reality that outsiders cannot cause or impose prosperity and democracy. To make matters worse, former Prime Minister al-Maliki’s autocratic rule undid much of what the Americans accomplished. Maliki inflamed the Sunni-Shia divide by expanding the Shia militias while refusing most Sunni political demands. As the Iraqi military crumbled, the current Prime Minister, Haider Abadi, had to turn to paramilitary forces to hold back ISIS. In doing so, the government surrendered its monopoly on the use of force, creating yet another problem for the failing Iraqi state. The political framework of many of the Arab states is weak. Few have been nations long, modern Iraq was founded in 1920. The collapse of the Ottoman Empire after World War I was followed by a period of British and French colonial rule. Some interpretations of Islam may also play a role because they combine religious and civil authority. There is no separation between mosque and state, a situation that may have stunted the development of independent political institutions. Throughout the region, analysts see a need to develop working parliamentary systems, protection for minorities, the emancipation of women, a free press, independent courts, universities and trade unions. Faulty central planning and crony capitalism have contributed to economic stagnation. Under these conditions, the promises of restoring Islamic grandeur offered by ISIS will remain an attraction to many disaffected Muslims.